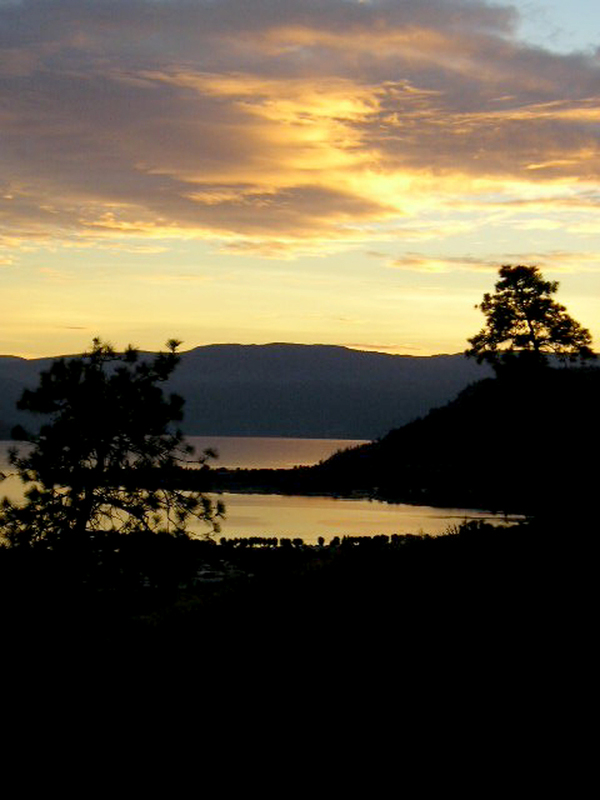 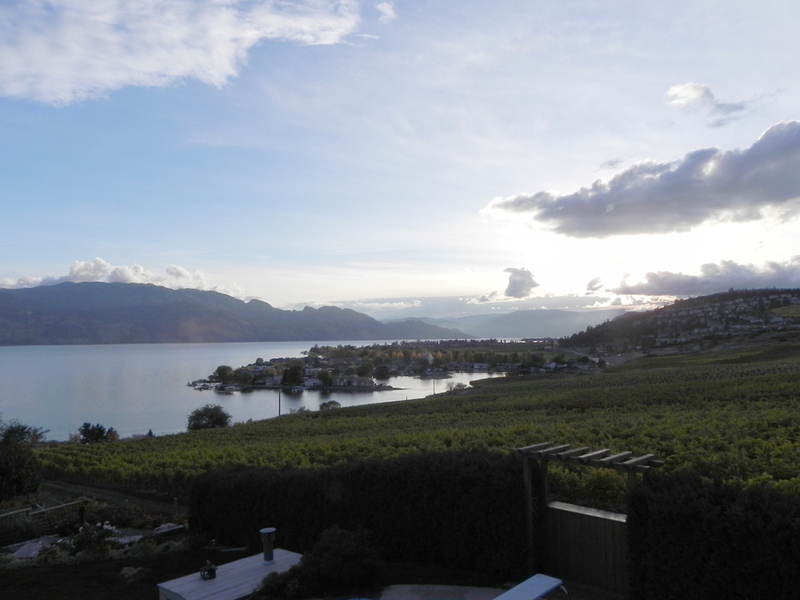 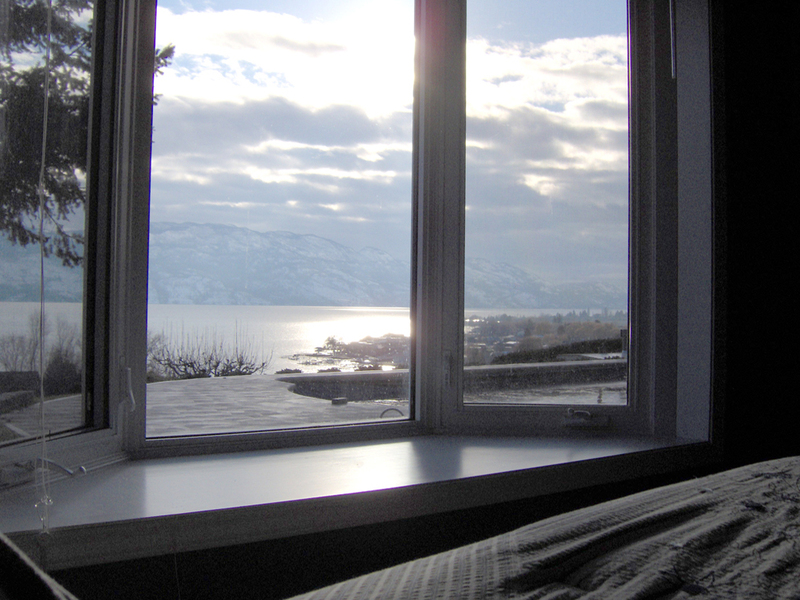 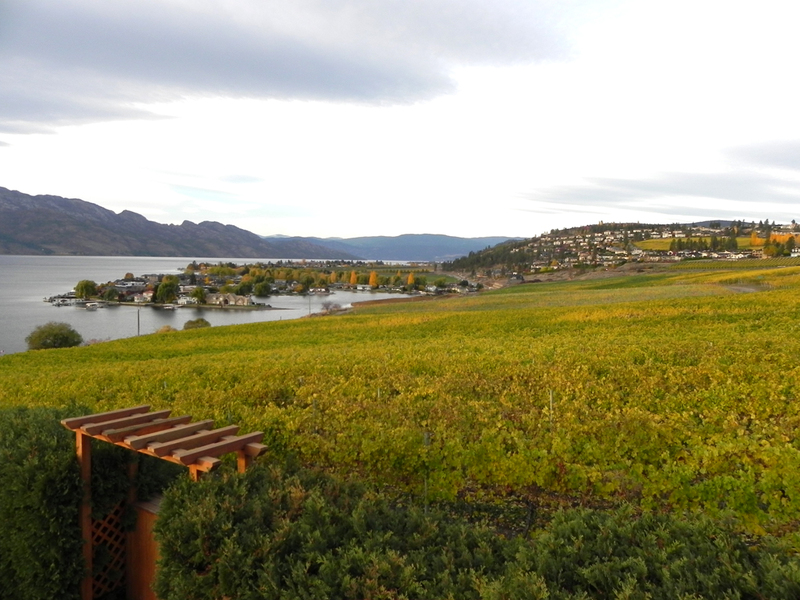 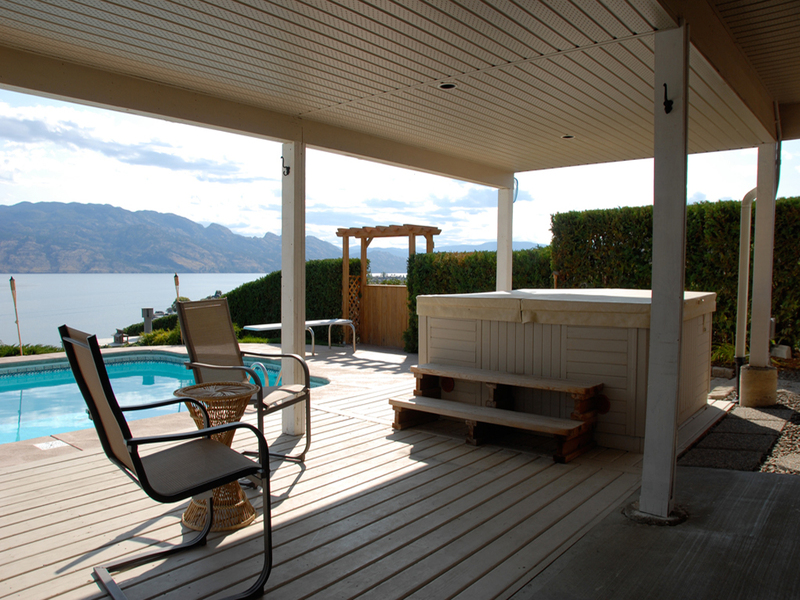 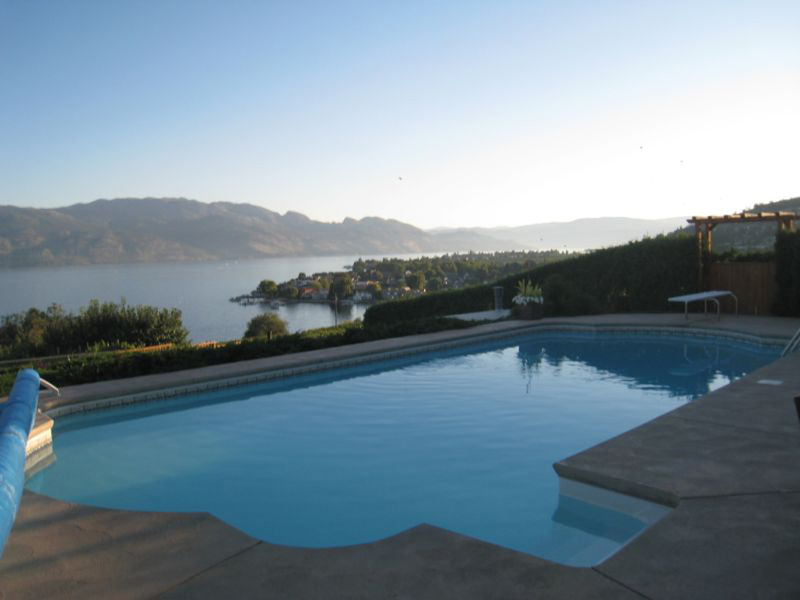 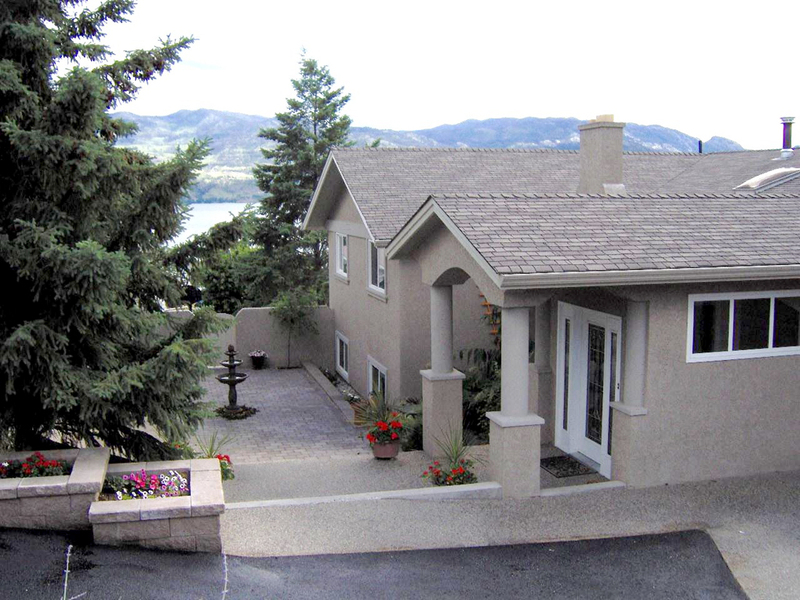 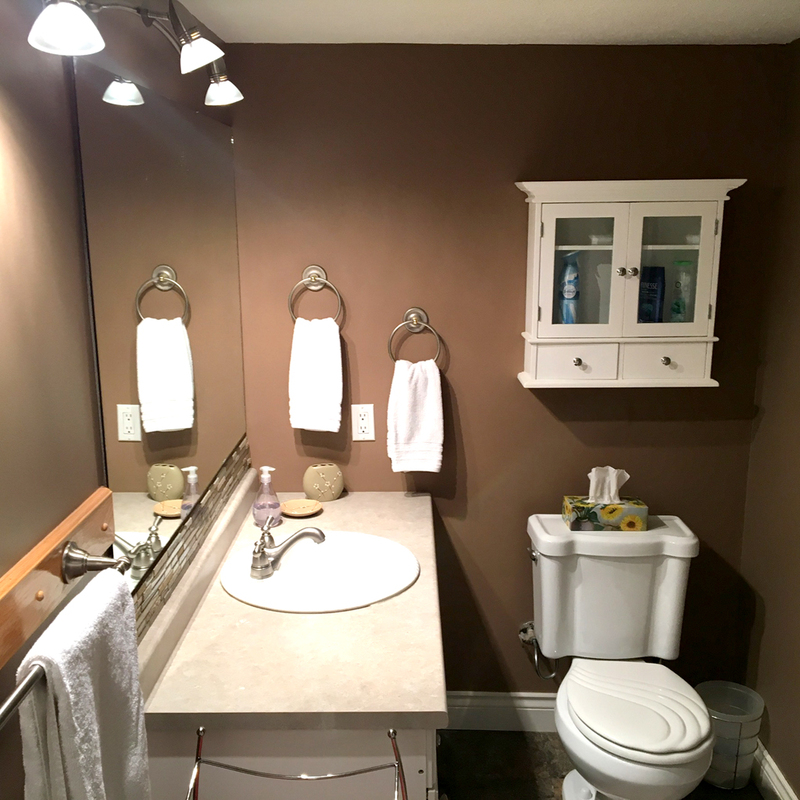 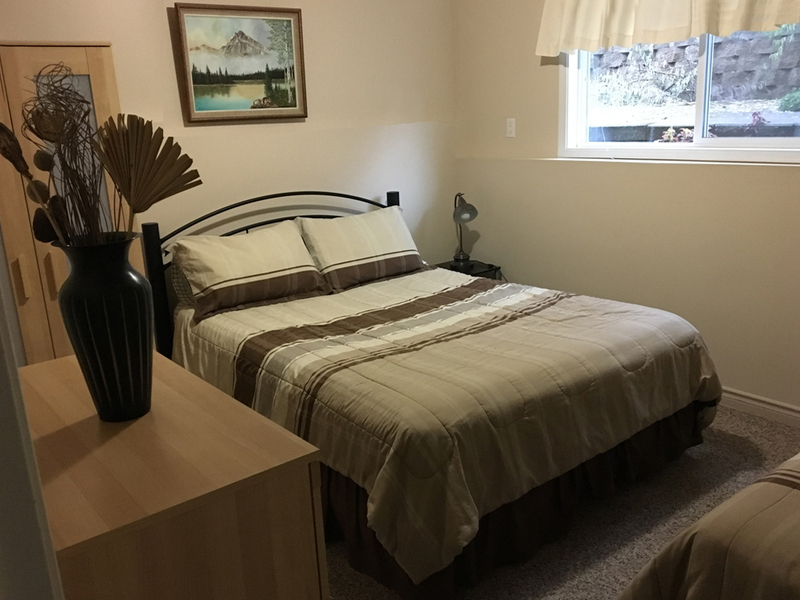 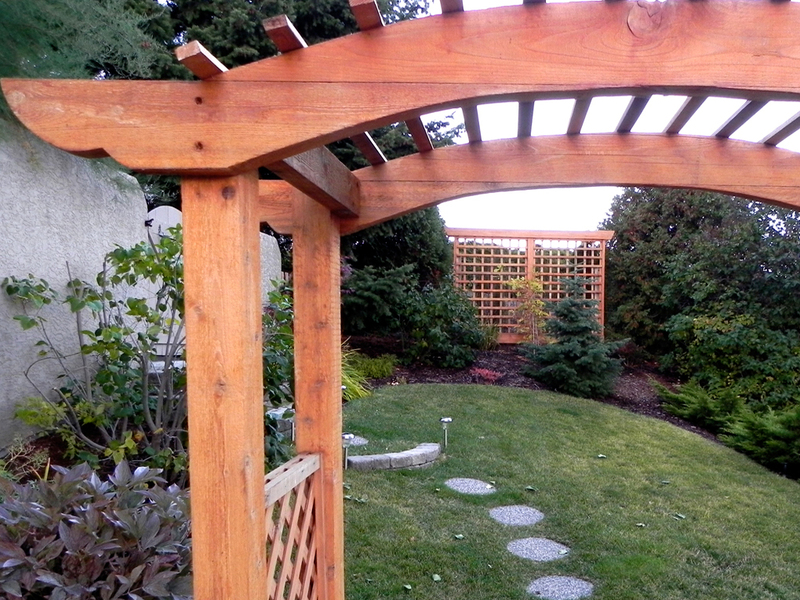 Lakeview on the Vineyard: West Kelowna vacation rental suite. 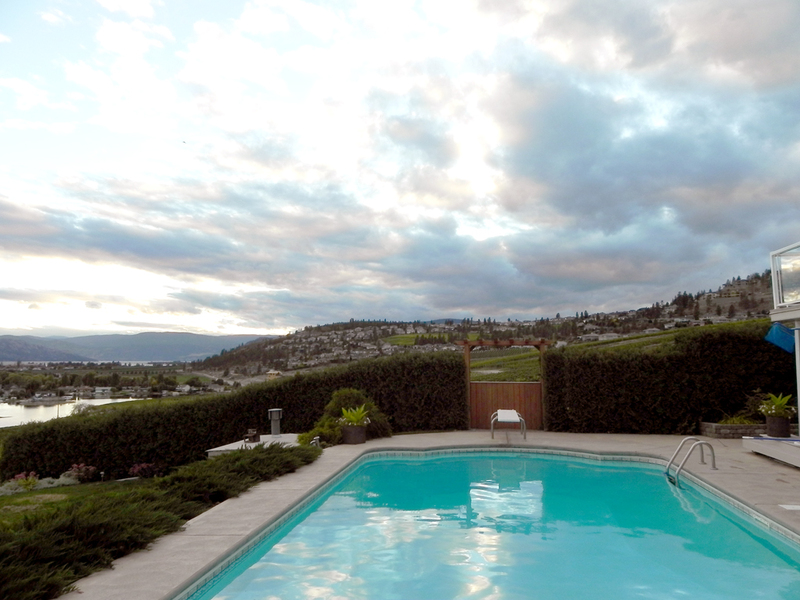 Unwind poolside or in the hot tub while taking in the panoramic lake, city and vineyard view from this spacious, air conditioned, self-contained unit; one level of an executive residence on a half acre property. 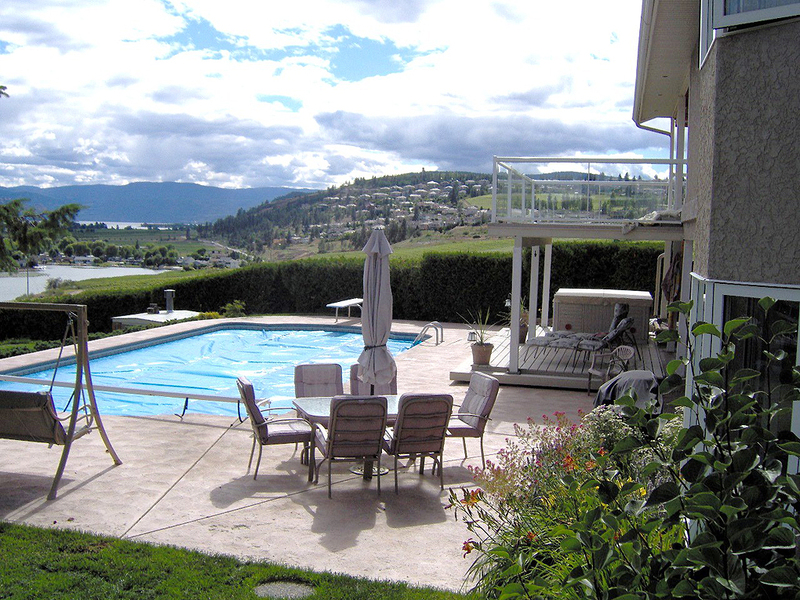 Lakeview on the Vineyard is the perfect getaway spot for families with children and couples who want to enjoy the best of the Okanagan Valley. 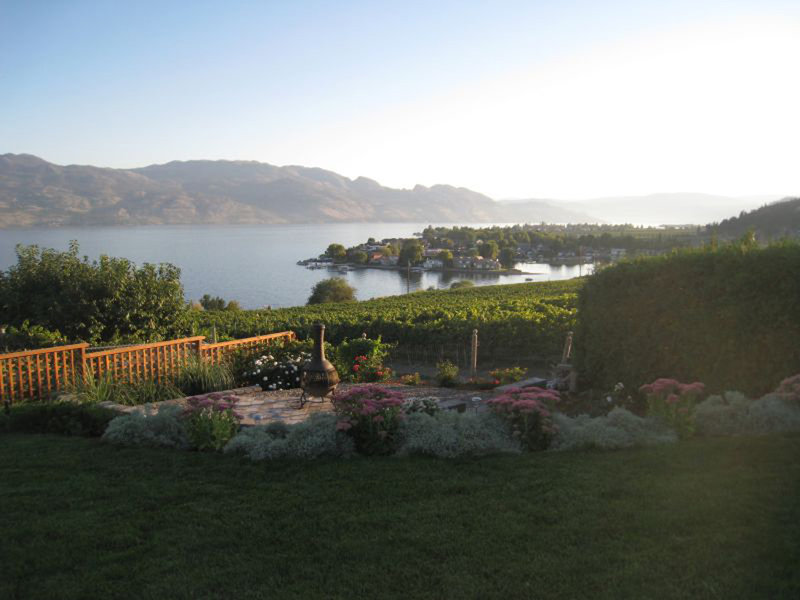 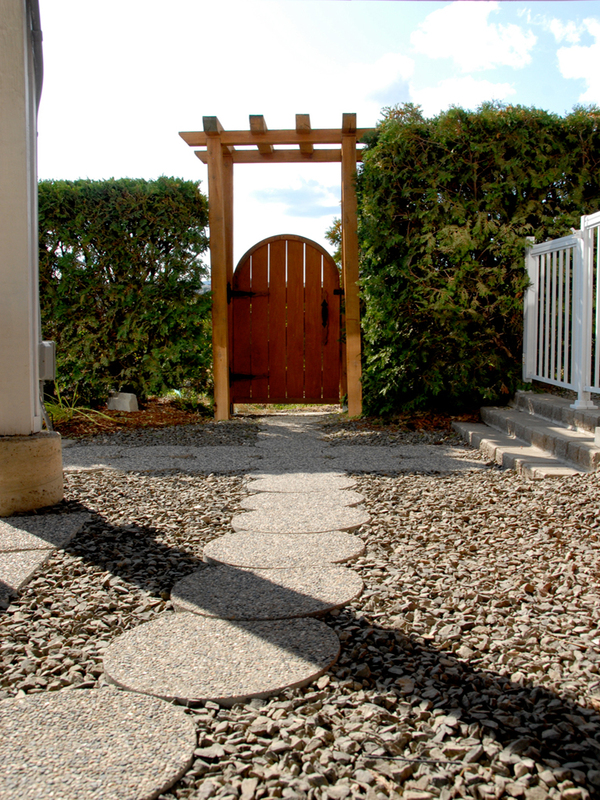 Magical moments could include walks in the Quailsgate vineyard, or along the lake to the nearby private neighbourhood beach, or a stroll along Gellatly Bay to the historic nut farm park, or the trails of Kalamoir Regional park. 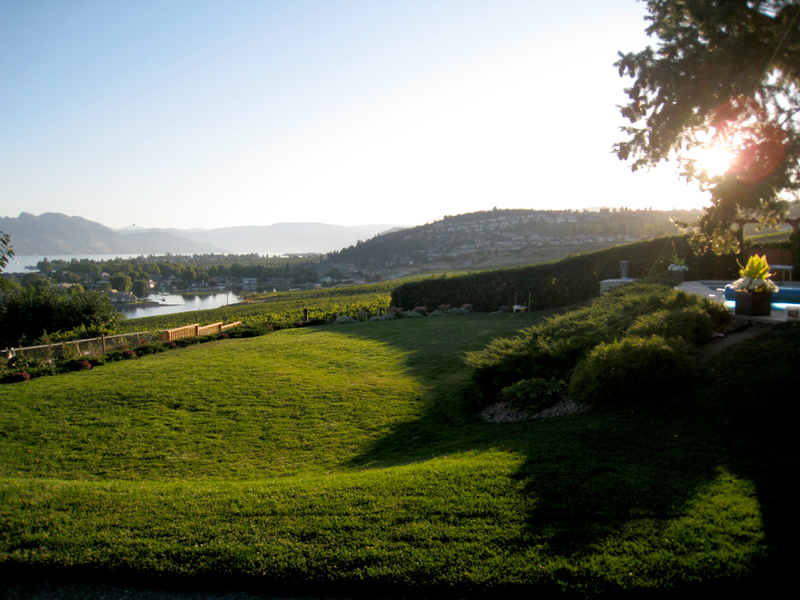 Many guests also enjoy wine tasting or golfing at the many nearby world- class wineries and golf courses. 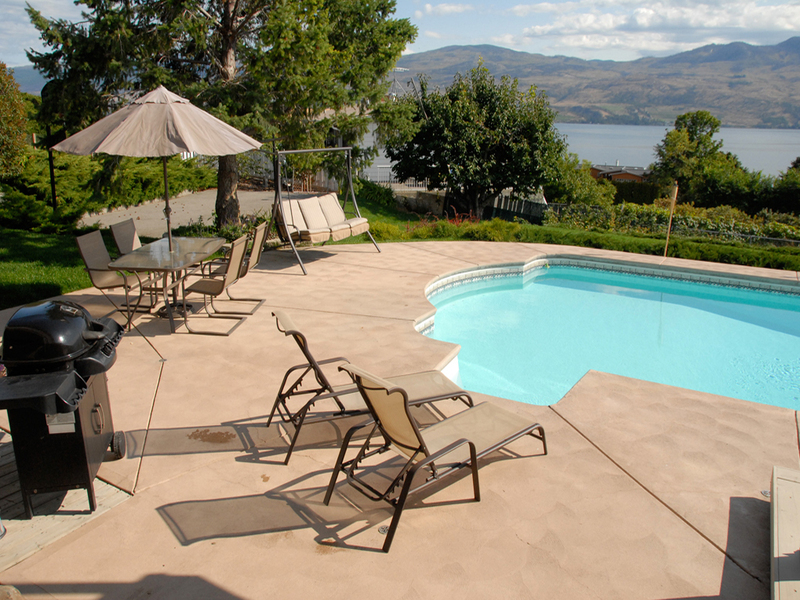 Everything that makes a holiday great is easily accessible – just minutes from downtown Kelowna and West Kelowna. 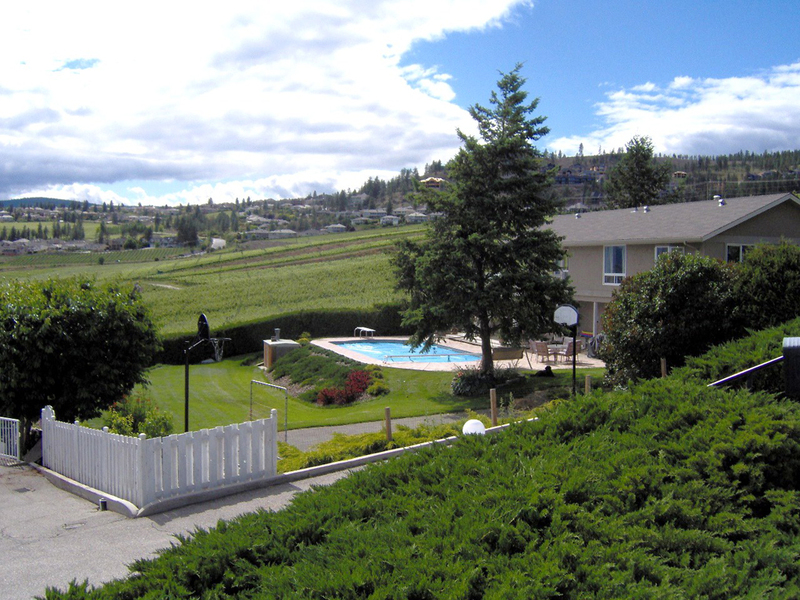 However, surrounded by so much natural beauty it is sometimes hard to break away from the comforts of home found at Lakeview on the Vineyard – large screen TV with sound bar, free wifi, a pool table, workout equipment, the private hot tub deck with view, and the 18 X 38 salt water swimming pool with diving board. 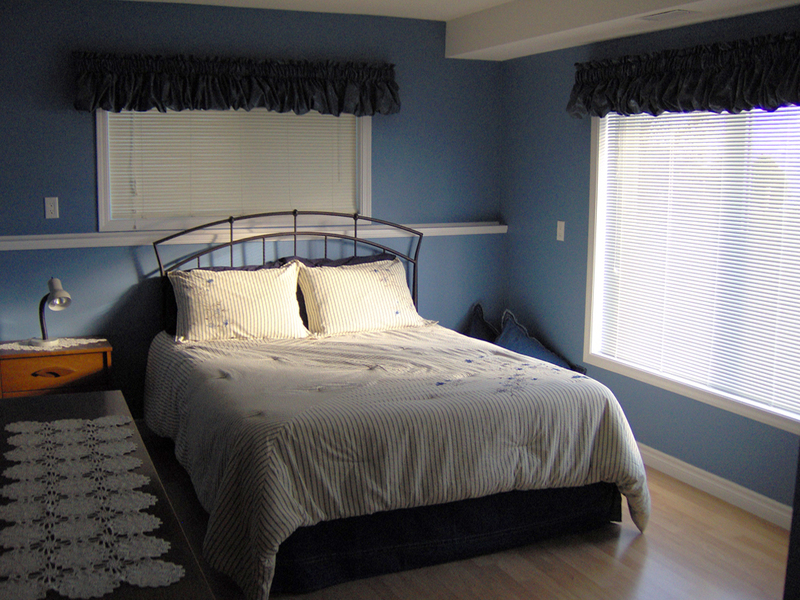 This 1700 sq ft suite accommodates up to 5 comfortably, in the two tastefully appointed bedrooms described below. 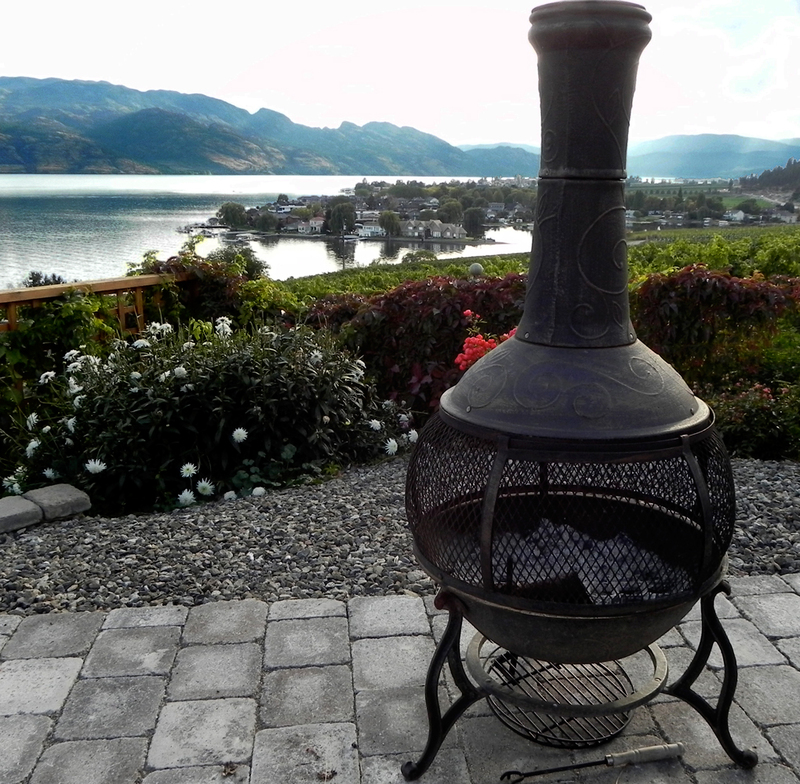 With so many relaxation spots — the den, the sitting area, the outside bbq area poolside or the fire pit overlooking the vineyard and lake, there is no excuse to not relax. 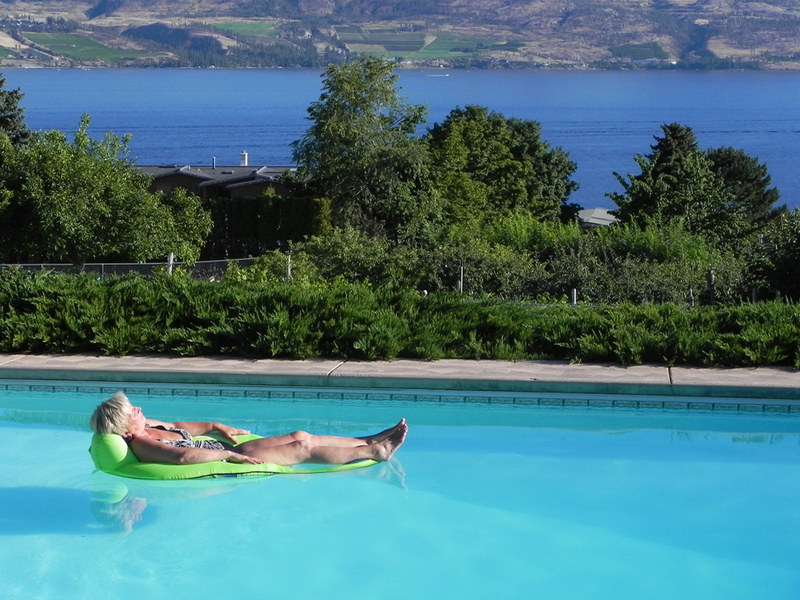 Please note that the pool is heated and available from June 1st to September 30th.